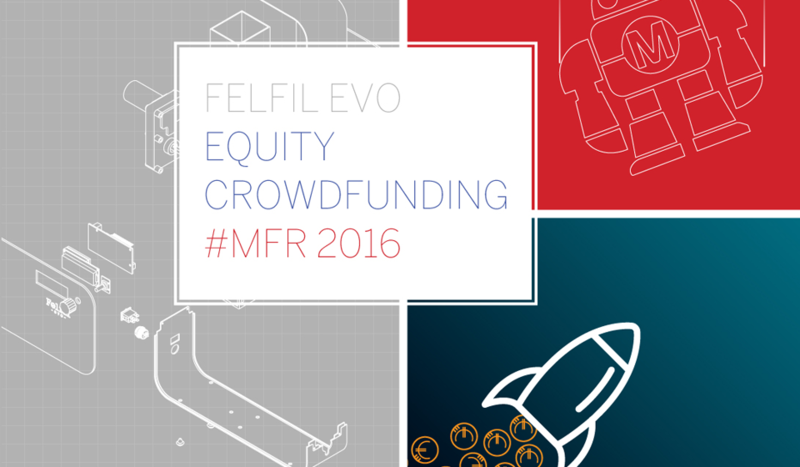 15 May Felfil Update: Maker Faire, Startuppato, Github! We update the blog this month with the most important activities in the Felfil’s home! In the last Blogpost we talked about the “Making Art 2.0” contest, which has Felfil Evo as a protagonist: well, the project that won our extruder is “Espressina”, a very special coffee machine! Here you can see the other projects that took part in the show on Liverpool Radio City Tower. Our testing phase continues and we have added on Github the new version of Felfil Evo Firmware 0.9.1. You can download it here along with the guide. Did you compile the survey? All of our customers have received and will receive our survey in which they can inform us of everything they love about Felfil Evo or all of your perplexities! If you want to spend some time with the team Felfil and Felfil Evo, whoever follows us on Facebook know that on May 25 we will be in Turin for the startup fair from Treatabit Startuppato that will take place at Toolbox Coworking. We will also continue to celebrate Turin’s Innovation Week at Torino Mini Maker Faire on 27 and 28 May. Keep following us on our channels, soon there will be news for our new project!